Interview: George Bamford | The Gentleman's Journal | The latest in style and grooming, food and drink, business, lifestyle, culture, sports, restaurants, nightlife, travel and power. 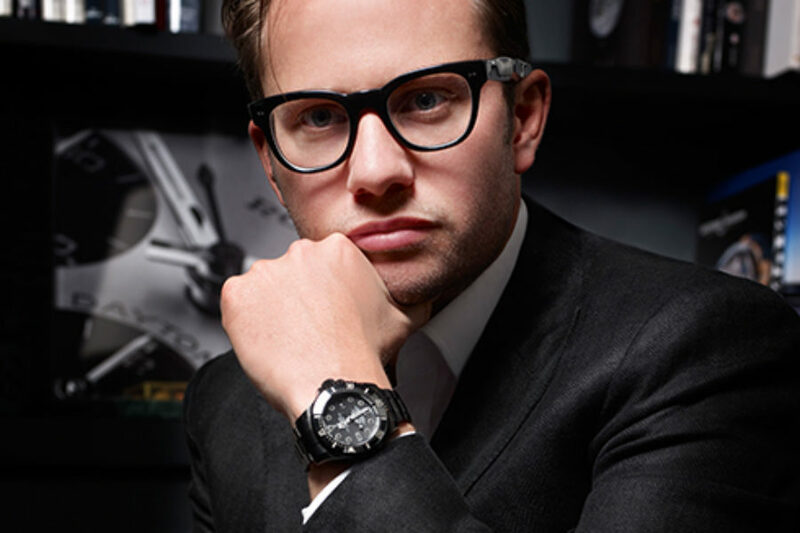 George Bamford, famed for his contemporary Rolex customisation company, Bamford Watch Department, has recently gone into business with his mother, Carole Bamford, owner and founder of Bamford, the luxury artisan women’s clothing and health-product brand to create the exclusive mens-care brand Bamford Grooming Department. As a family of outstanding entrepreneurs (his father owns the JCB empire) George is showing no signs of slowing, as his own empire grows with rapid pace. We speak to George about all things Bamford Grooming Department and where his business is going. How did the collaboration with your mother come about? I was sitting at lunch with my mother, it was a Sunday roast, and I was saying that I wanted to look at extending the brand into other fields and my mother said to use her experts at Bamford Bath and Body as she has some of the best in the world for bath and body products, and so over roast chicken we ended up deciding to collaborate. 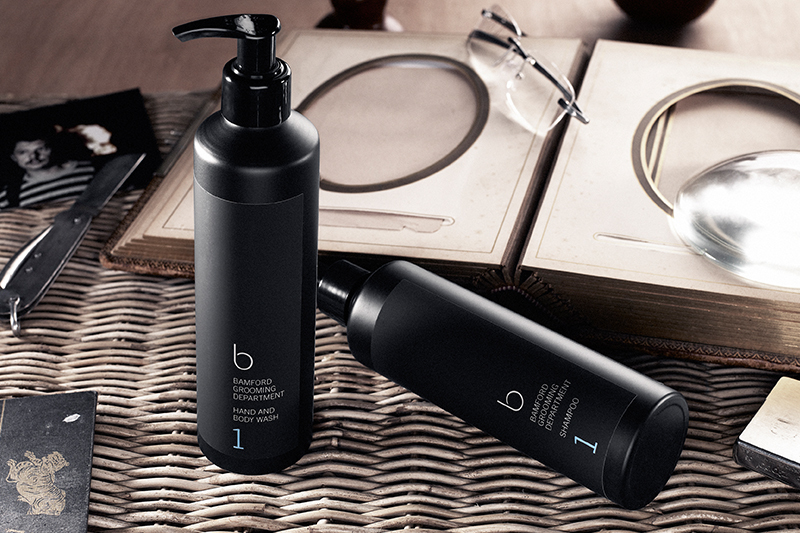 What inspired Bamford Grooming Department? I was actually in the shower and looking at the products in front of me and it struck me that I had unisex mass market products everywhere and I thought, where’s mine? It was about the design process and making something individual for the client and also having something that’s mine and for men. I feel that in a man’s world there isn’t much and it is very easy to say you are marketing to men but it tends to be unisex. How have your products and fragrances developed? Our focus was on the fragrance and performance and travel aspect of the products so we took a precise approach to the design and scent. The range had to deliver so we have packed the products full of interesting natural active ingredients which mean they are efficacious and a pleasure to use. The scent is a blend of vetiver, agarwood and dark amber. Vetiver was inspired by my father as it was one of my oldest memories as a child to have my father spray that smell so I thought I had to have that – and agarwood is one of the oldest traveller smells. I am into the fine details in my watch business and I applied this here as well with the package design and the shape of the shaving oil and the feel of the rubberised textured stickers. What do you think men find most important when it comes to grooming? I wanted to enter the market with all the products that a man would need for a few days travel; there is nothing essential that is missing but I also wanted to keep it simple. I always hated having too much to decide between. The best combination of products that you need are a great scrub, body wash, shampoo and shave oil. It, of course, also allows for huge scope to develop that range which myself and the team are busy working on. What are your top 5 tips for a well groomed man? Fragrance and smell is my top tip for a well groomed man. If a man doesn’t smell right, it is the main thing you notice, so a memorable fragrance that lasts is important. Fresh breath always goes with this but also having your own style and taste. Being comfortable and confident in the style you choose is what makes a man. I like colour coding so tend to wear all black or all blue but as long as you look well put together and you are comfortable then you cannot go wrong. Watches, men’s grooming; any other business in the pipeline? Earlier this year, I released A Strange Way to Die, my first novel co-written with my mother-in-law, R. Pearl and the sequel is in the pipeline. I was so pleased as it was listed as third in all Crime, Thrillers & Mystery books on Amazon. 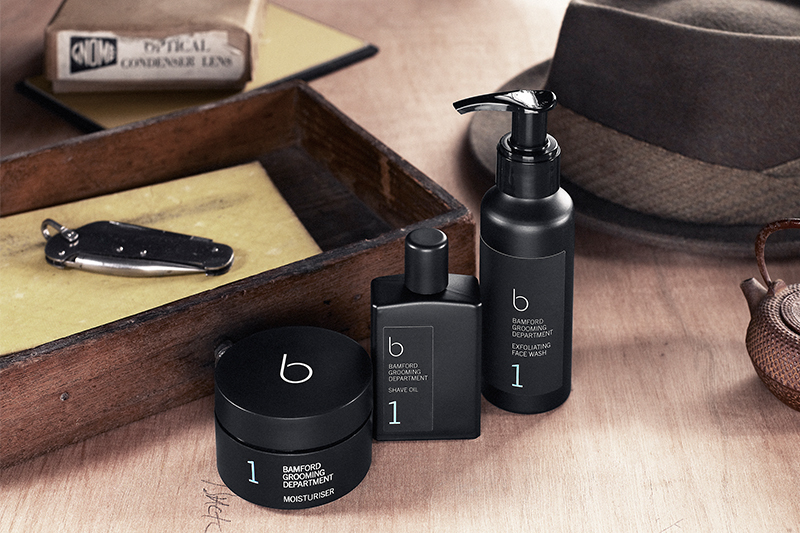 For more information about Bamford Grooming Department, see here.